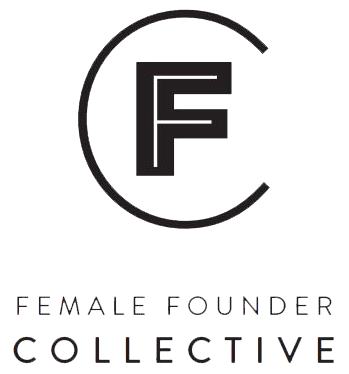 I've recently gone through a really fun experience with my business: rebranding. 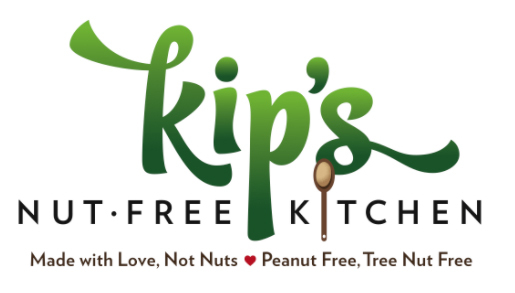 For six years I was "Kip's Nut-Free Kitchen", since I originally envisioned a food brand that focused on the nut-free, peanut-free community. My son Kip is allergic to peanuts, tree nuts, and sunflower seeds. Our life revolved around avoiding those allergens. 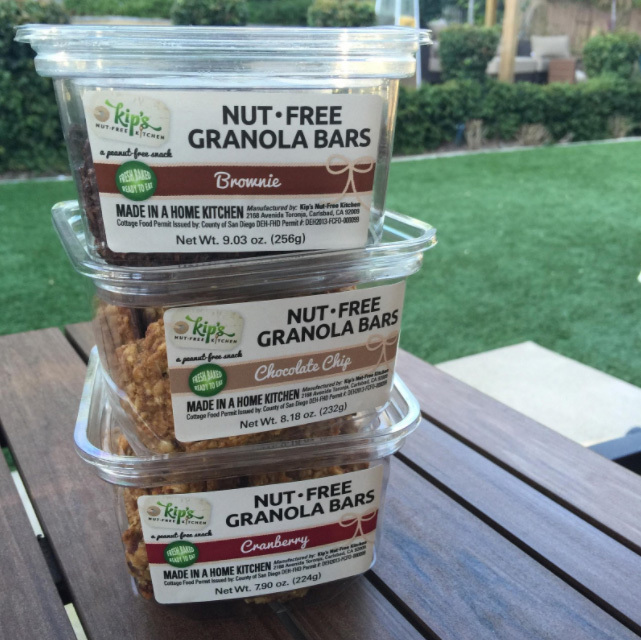 However, as my business began to grow, and I experienced more and more time in the food allergy community, I realized that it made much more sense to create snacks that were free of the "top 8" food allergens: not just tree nuts and peanuts, but also soy, wheat, dairy, egg (and of course, fish and shellfish). There are so few options for packaged snacks for anyone with a severe food allergy that I wanted to be able to reach all of these people. (For more insight as to how this change came about, see my post "The Journey to Kip's). The logo had gotten pretty small at this point, since there wasn't much real estate on my labels. I loved the fact that it had the little allergen icons on the front. As an allergy parent myself, it’s so nice to find out quickly if the food is “safe” or not. However, it soon became clear that the little label on the large bag was way too small. I had so much more real estate on the bag that I should be using to help people understand "what is bark?"! Not only that, but my name, "Kip's Nut-Free Kitchen", was now somewhat misleading. 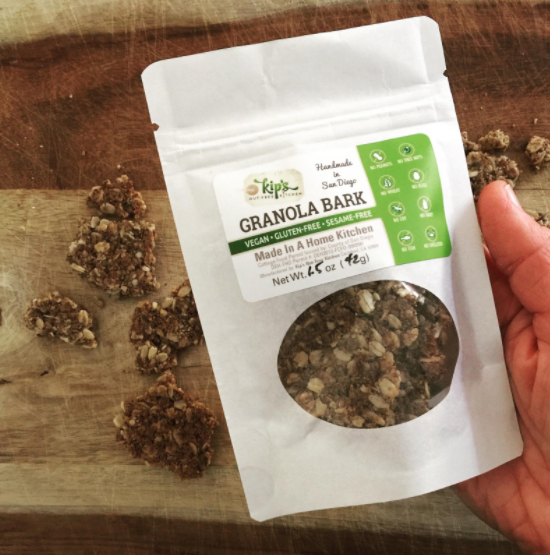 The bark isn't only free of nuts, it's free of ALL of the main allergens. It was getting difficult to deny that my beloved name, and therefore logo, would no longer grow with my business. Also around this time, and after years of searching, I finally found an allergy-free commercial kitchen to produce my bark. This meant I could sell on a larger scale, and turn by hobby into a real business! So, I decided to take the plunge and stop making it myself in my home kitchen, and have the commercial kitchen bake it for me. This way, I would be able to ship my bark (which isn't allowed under California Cottage Food law), and reach more people with food allergies, which has always been my dream. Selling on a larger scale meant it was finally time to give more attention to my brand, website, and packaging. I decided to take the plunge and hire a full-service design firm (Cowlick Appeal) to help me in the rebranding process, create a new, more accurate logo, new packaging, and website. Although I have some background in marketing, I had never gone through a branding exercise for my business and hadn't ever written down the main things that Kip's stood for. TRUSTWORTHINESS...because people with food allergies have to TRUST that the food you're offering them is SAFE for them. 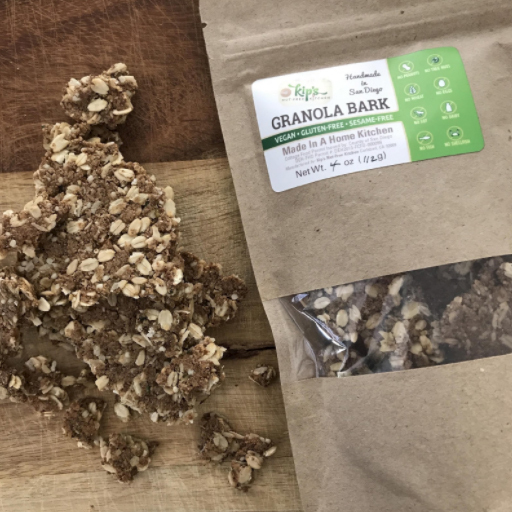 The reason I made my granola bars from my home kitchen for six years is that I couldn't find a kitchen to rent to make it in that had a solid allergen control policy that I could trust. I refused to compromise on the safety of the product. That will always be my number one promise. QUALITY...because nothing in my food is going to have preservatives or strange ingredients to save cost. I wanted food that my family could eat every day, which would make them feel good and strong, with long lasting clean energy. COMMUNITY...because the food allergy community is very connected and we rely on each other for emotional support, information on research, clinical trials and medication, and also recipe ideas, food substitutions, etc. I am "friends" with so many strangers I've met through Facebook groups, Instagram "food allergy parents", and food allergy bloggers who inform me about product recalls, new safe products, ingredient changes in formerly safe food, etc. And I'm also connected with food allergy parents who are dedicated to enacting change in legislation regarding food labeling requirements, airline travel, and school and EMT use of epinephrine. Community is quite simply, a massive part of living with food allergies. And my business is a part of that community. We also officially agreed that going forward, "Nut-Free Kitchen" could no longer be a part of the name. It was time to shorten the name to simply "Kip's", because Kip has always been my inspiration. And then it was time to explore the other key components of branding Kip's, such as colors. How does color play into and support my business goals, and what it stands for? How do we stand out on a very crowded snack shelf? 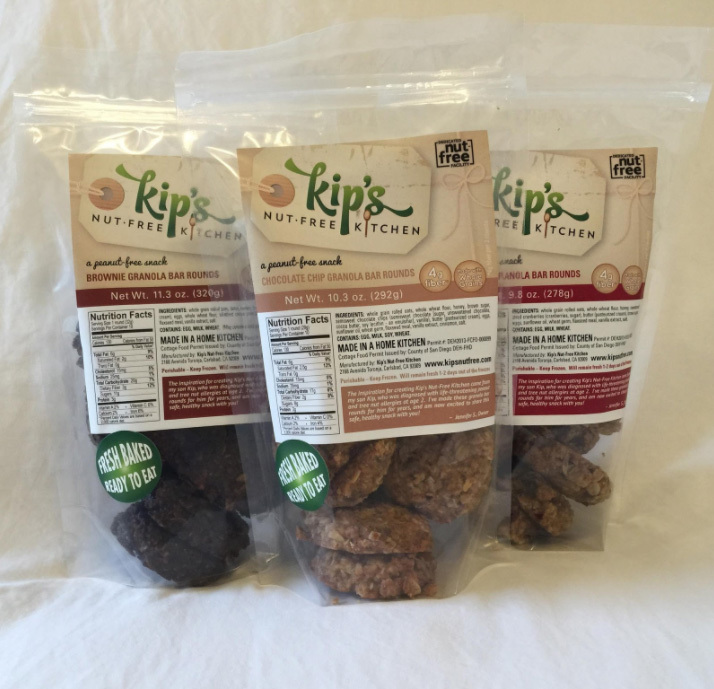 How can Kip's be different, but still show our natural, healthy, side? How incredible it feels to finally have everything I ever thought about my brand finally be visually present. I am delighted. This package doesn't want to hide in your pantry. It wants to sit boldly on your office desk, on that potluck table, and on your soccer blanket. It's ok with being shoved into your workout bag, ski bag, or backpack, but it's ready to come out when someone asks you what you're eating, and if it's safe for them to try. I can't wait to take this next step with Kip's, and share it with the world outside my San Diego community. 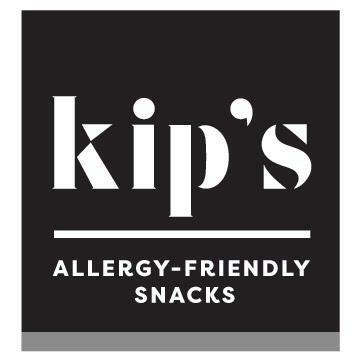 And I would love to see where you're taking Kip's, and hear about what you think about the new look and feel. My eyes and ears are open! 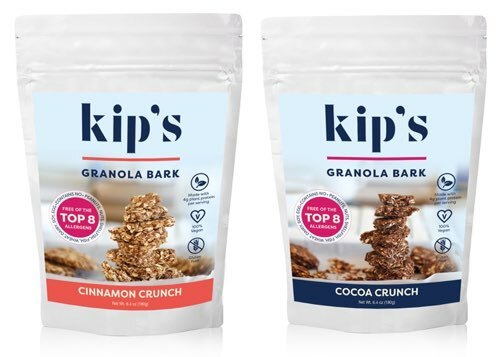 Tag us @lovekips1 to share how Kip's is part of your journey. And as always, thank you for your support.